If you’ve lost a tooth (or several), you’ve got more options than a fixed bridge or removable dentures. Known as the new standard for tooth replacement, dental implants fit and feel like natural teeth. A dental implant is an artificial tooth “root” surgically placed in your mouth to support a crown, denture, or bridge. Made from titanium metal, it fuses around the jawbone, serving as a root for the missing tooth. Here are a few things to keep in mind, if you’re considering dental implants. At the American Academy of Implant Dentistry, we consider two types of implants to be safe. These are: endosteal and subperiosteal implants. Endosteal implants (in the bone) are cylindrical or root shaped and are placed directly into the jawbone. These can be used for dental restorations ranging from a single tooth to more complex bridges and full arch tooth replacement. The endosteal implant is the most common implant used in dentistry. Subperiosteal (on the bone) are used for very challenging situations and are placed under the gums and over the jawbone and used to support full arch tooth replacement. Dental implants are made of titanium. This kind of biocompatible material serves as a sturdy foundation for replacement teeth. Another benefit for dental implants is that no nearby teeth need to be prepared by grinding down the teeth in order to hold the new replacement teeth in place. When you meet with your AAID-credentialed dentist, you’ll undergo a complete dental exam (including X-rays and a thorough evaluation of your mouth). Next, you’ll discuss a treatment plan and have the opportunity to ask questions and address any concerns you may have. Many treatment plans may be accomplished with only one surgical visit. More complex cases may require several surgical appointments. Your implant dentist will formulate a custom treatment plan specifically for your needs. “At the time of your surgical visit it is often possible to place a temporary version of your teeth. In most cases, completion of your beautiful new smile can be expected within three to six months,” says Dr. Craig Aronson of Orangeburg, New York. After adequate time is allowed for healing of your new dental implants, the prosthetic or reconstructive phase of your treatment will begin. A bonus with dental implants: No cavities. But that doesn’t mean you get to skip brushing or flossing your teeth. In fact, if you decide to get implants, you’ll need to make sure dental hygiene is one of your top priorities. To receive implants, an implant dentist will make sure you’ve got healthy gums and a solid bone structure to support the implant. After the surgery, it’s especially important to maintain oral hygiene and schedule regular dental visits. “Though your dental implants can’t get cavities like your natural teeth, it is especially important to brush and floss implants well to avoid infection. Keeping your mouth clean is essential to implant longevity and overall dental health. Even with good home care, plaque and tartar can hide in hard to reach spaces, so it’s important to visit your dentist for regular cleanings and exams. The dentist will want to check your implants and mouth for problems before they become serious problems,” explains Dr. Jasmine Sung of Houston, Texas. “Dental implants are not just an investment in dental health, but your overall health and psychological well being,” says Dr. Nalitt. On closer evaluation, dental implants fees are competitive with equivalent tooth-supported restorations, and can actually be more cost effective over the long-term, due to their long-lasting impact and higher quality. Tooth-supported bridges have an average lifespan of seven to 10 years before needing to be replaced. With proper care and maintenance, dental implants can last significantly longer. In addition, unlike bridges or dentures, dental implants can help to preserve your healthy jawbone. As a matter of fact, many insurance companies now recognize the proven success of dental implants and are including this benefit in their dental plans. You may find that dental implants are more affordable than you might think. 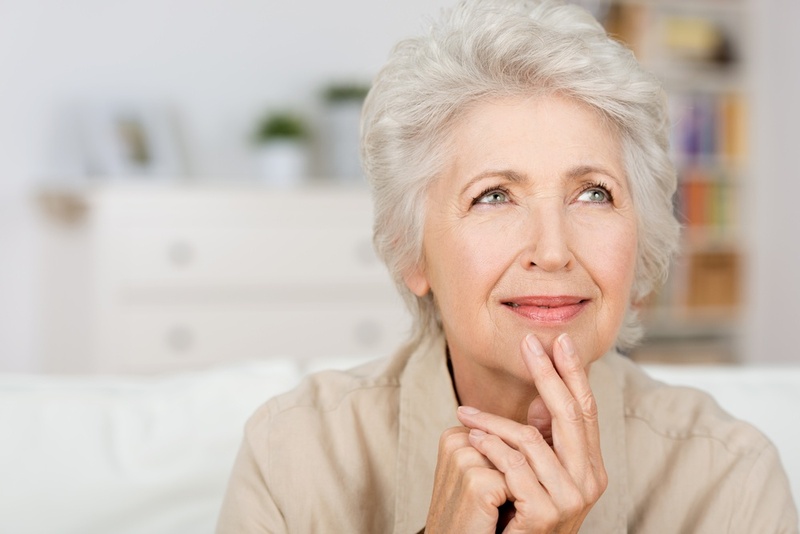 Learn more about what to consider when it comes to dental implant fees. Dental implants allow you to keep the natural shape of your face and smile. “It's important to talk to a tooth replacement expert before you consider any other option because some other tooth replacement options have the side effect of allowing your appearance to change over time, which may not be attractive,” says Dr. Nalitt. Note that due to the sophisticated science of dental implants, it is important that you choose a dental implant expert, not just any dental practitioner. The American Academy of Implant Dentistry (AAID) offers a searchable directory of credentialed implant dentists. These dental implant experts have met key educational, training, and competency standards to help make the implant process a satisfying experience. Dentists consulted for this article include: Lawrence Nalitt, DDS, AFAAID, DABOI/ID, of Broadway Dental Center in Brooklyn, New York; Craig Aronson, DDS, AFAAID, DABOI/ID, of Premier Dental in Orangeburg, New York; Vincent Vella, DDS, FAAID, DABOI/ID, of Vincent Vella DDS in Rochester, New York; and Jasmine Sung, DDS, AFAAID, of Houston Southwest Dental Center in Houston, Texas.